Getting plenty of exercise is something we need to teach our children from a very young age. One of the best ways for them to get it while having fun is bike riding. Having the right bike though is essential to get the most benefits from it as well as encourage the child to participate in the activity. With so many different bike styles and brands on the market today, it can be hard to choose the right type of bike for your child. There are some things you want to look for that will help you narrow down your options. While it is fun to surprise your child with a bike for their birthday or Christmas, you will find that taking the child along with you to shop is a fun experience for both of you. It will also allow the child to test out the bike before you spend your money on it. While it may seem like a good idea to buy one that your child will grow into, they really need one that already fits them well. Have your child sit on the bike with their hands on the handlebars. The balls of both feet should be able to touch the ground while they are in this position. Pay close attention while they slowly get on and off the bike. They should be able to keep both feet firmly on the ground and still have approximately one inch of clearance from their crotch to the bar in the middle of the bike. The brake system on a bike is very important. Bikes for younger children have them on the peddles and can be activated by pushing the peddles in reverse. Make sure your child is strong enough to do this. You don’t want them trying to place their feet on the ground to get the bike to stop. Bikes designed for older children feature the brake controls on the handle bars. You need to make sure they are able to reach them with ease while on the bike. You also want to make sure they are able to grip them tight enough to get them to work properly. If you are looking at getting your child a 10-speed or a mountain bike, make sure they are able to work through all the gears. You can help keep your child safe while riding their bike if you take the time to get them one that is built for their needs and abilities. It is more important that the bike is well suited for your child than the brand, the color, or even the cost. 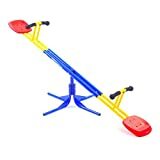 ← Flexible Flyer PT Blaster, a Cool sled for kids! A Tricycle For Your Child?